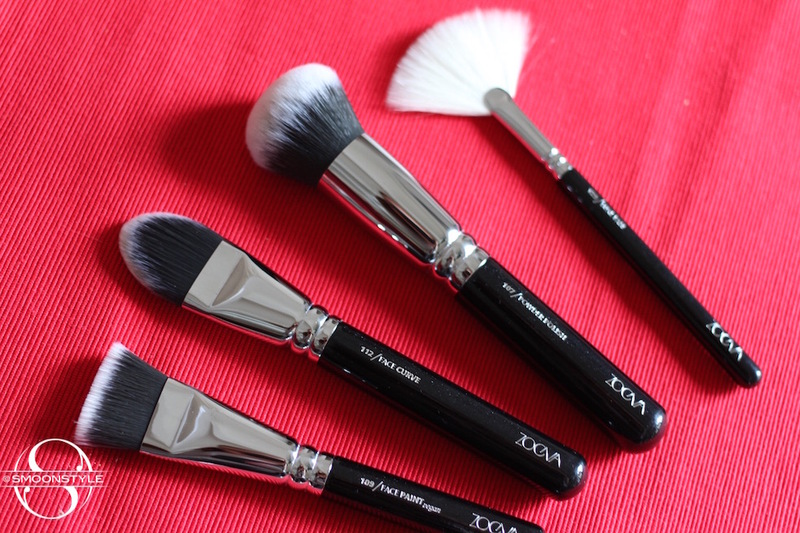 If you ask me which brand would make the best highstreet brushes besides Real Techniques, I would say ZOEVA. Some of their brushes I even prefer over MAC Cosmetics. They released eight new brushes that I would love to introduce to you. 112 Face Curve €12,80 - A flat foundation brush with round edges. Great to get into more difficult areas of the face. 107 Powder Polish €16,80 - For the application of loose and pressed powder foundations. I use it for my MAC Studio Fix Powder Foundation. 129 Luxe Fan €10,80 - This is a multi tool friend you don't want to miss in your kit. You can use it for applying highlight, face powder, bronzer and blush. I mainly use it of applying highlighter, but will also try out the other ways as well. 325 Luxe Brow Light €7,80 - For applying highlighter on the brow bone. 220 Luxe Grande Shader €8,80 - Apply your eyeshadow with one swipe. Great for bigger eye shapes. 114 Luxe Face Focus €12,80 - Great for precise application of blush, highlighter, contouring. I love to use it to set my concealer with. Another one of my favorites! 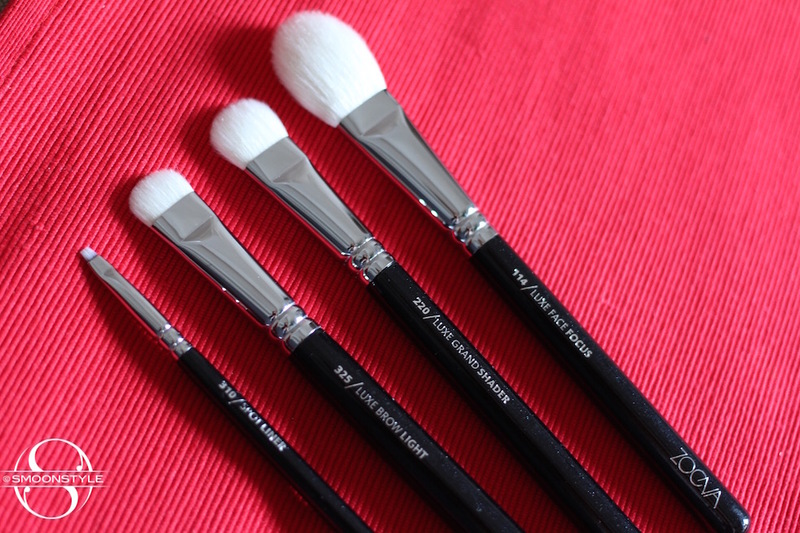 These brushes are super affordable, great quality and super soft. They don't feel like some bearded guy is peeling your skin, like some other brushes of a bigger brand do. They survive washing without shedding hair. If you are starting with make up, ZOEVA is a safe choice. You get more than your money's worth. I started by buying a Zoeva set back in 2010 and they are still going strong. I don't like every brush in the set, but the eyeshadow brushes are fab. I´m looking for some new brushes. They seem to be a good option, and could be purchased on line. Hi Simone! I've bought the Bamboo Set from Zoeva 2 years ago, they're awesome! You can wash them every day without problem!